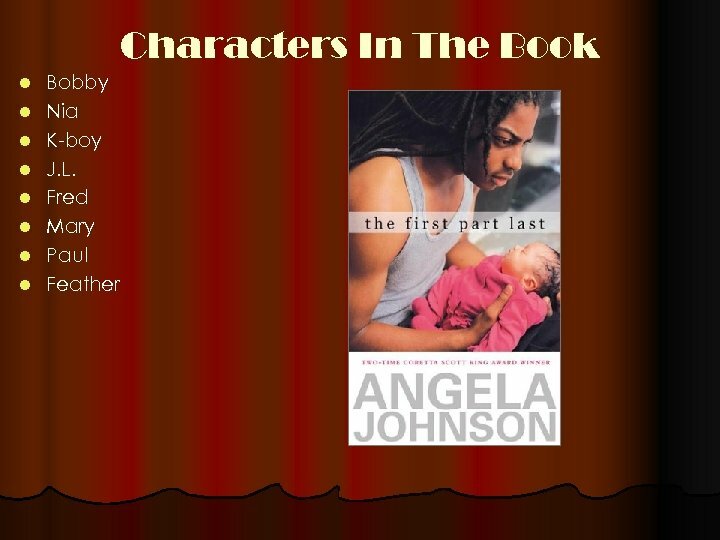 Summary Of The Book The First Part Last is about a average teenage boy, Bobby, who accidentally gets his girlfriend, Nia, pregnant. 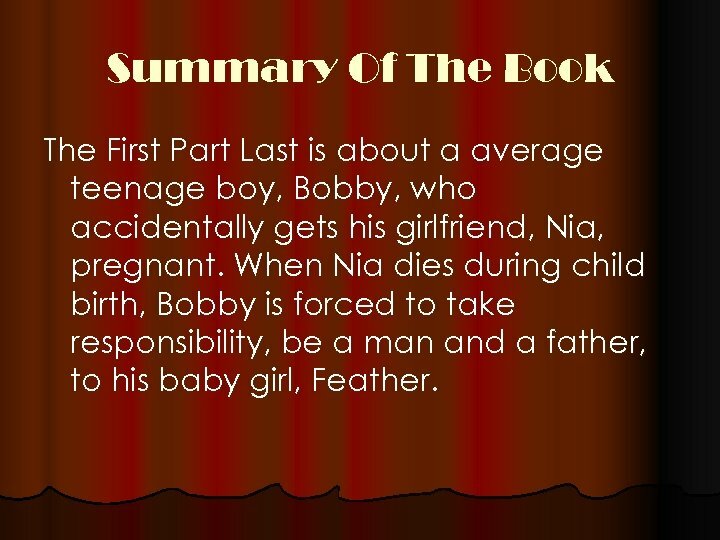 When Nia dies during child birth, Bobby is forced to take responsibility, be a man and a father, to his baby girl, Feather. Theme Of The Book Theme is the message of the book. 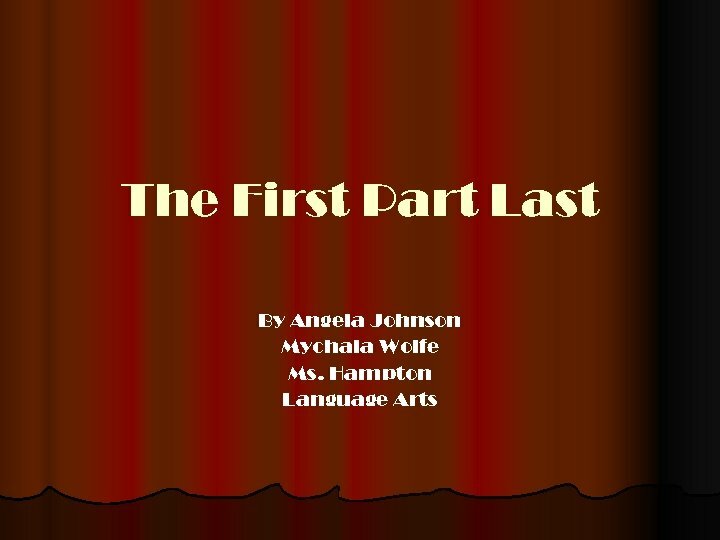 I believe the message in “The First Part Last” is take responsibility for your actions. 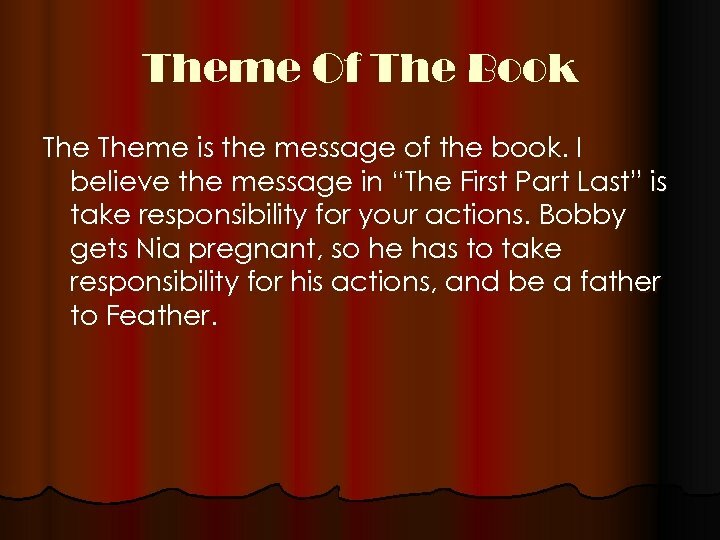 Bobby gets Nia pregnant, so he has to take responsibility for his actions, and be a father to Feather. 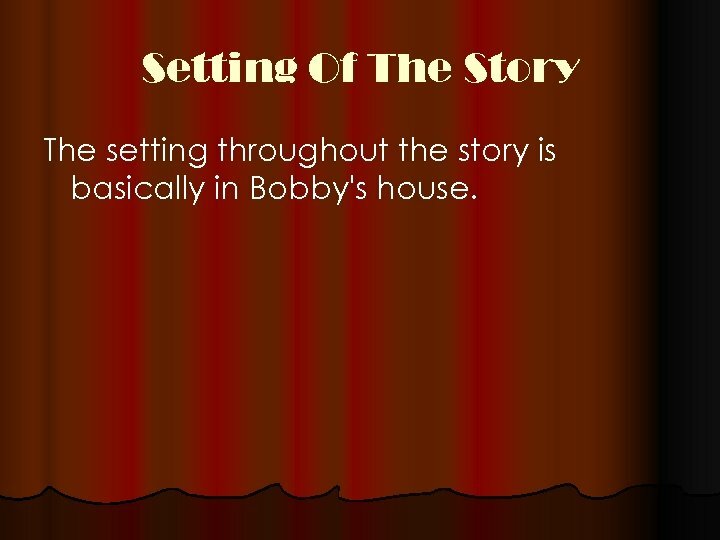 Setting Of The Story The setting throughout the story is basically in Bobby's house. 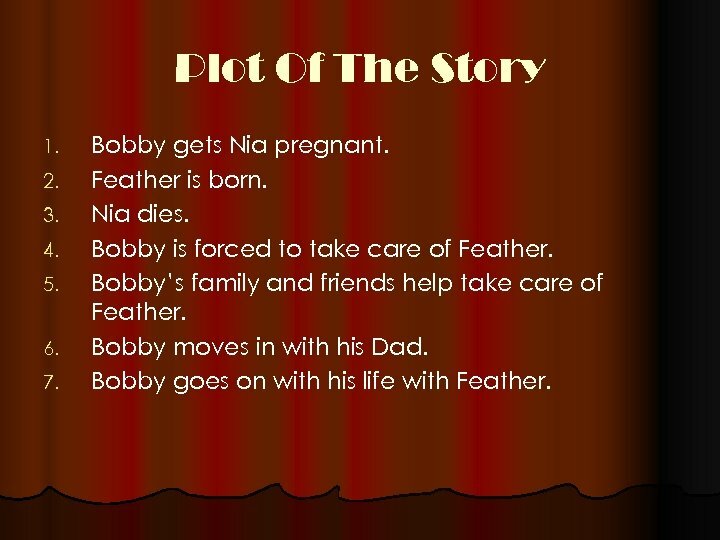 Plot Of The Story 1. 2. 3. 4. 5. 6. 7. Bobby gets Nia pregnant. Feather is born. Nia dies. Bobby is forced to take care of Feather. Bobby’s family and friends help take care of Feather. Bobby moves in with his Dad. Bobby goes on with his life with Feather. The Climax The climax of the story is when Nia tells Bobby she is pregnant. 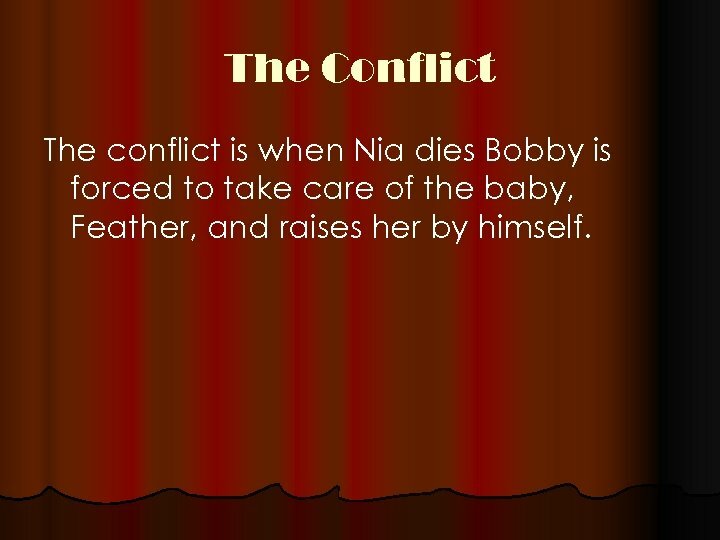 The Conflict The conflict is when Nia dies Bobby is forced to take care of the baby, Feather, and raises her by himself. Resolution The resolution is Bobby’s experiences push him to manhood. He keeps Feather, and his friends and family help him through this hard time. Style of The Book The style of this book is informal. 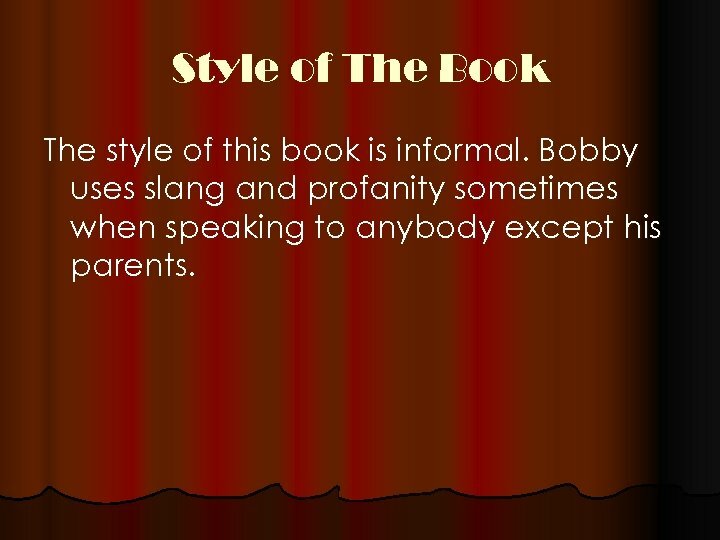 Bobby uses slang and profanity sometimes when speaking to anybody except his parents. Tone And Mood The tone of this story is neutral. 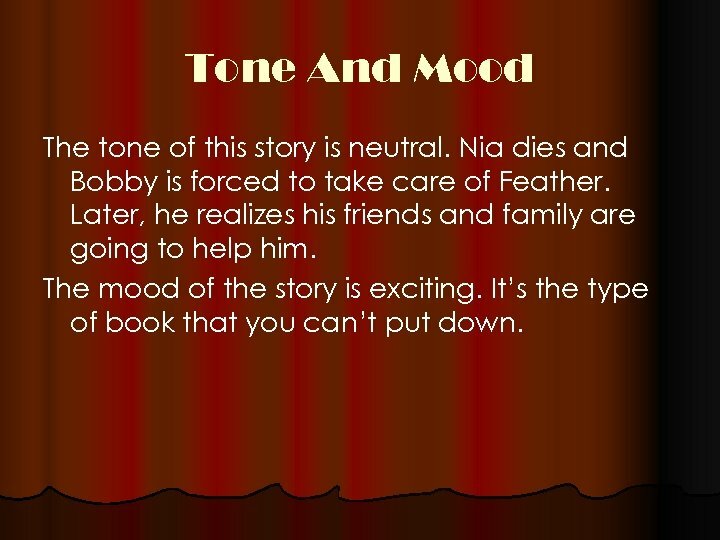 Nia dies and Bobby is forced to take care of Feather. Later, he realizes his friends and family are going to help him. The mood of the story is exciting. It’s the type of book that you can’t put down. 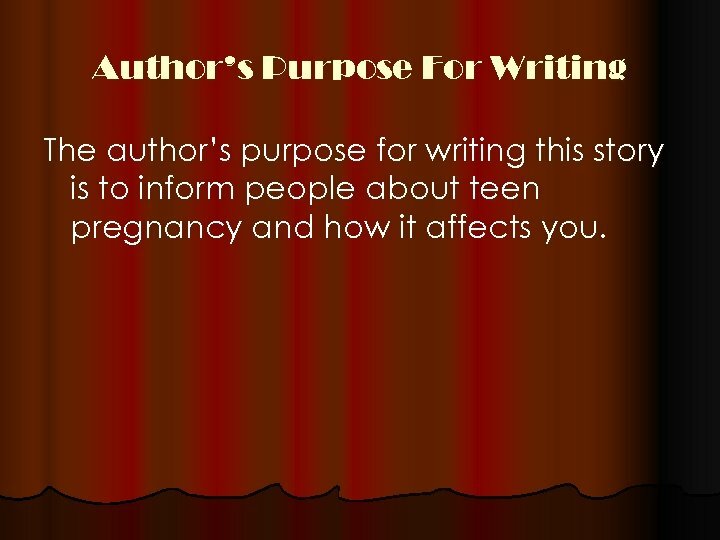 Author’s Purpose For Writing The author’s purpose for writing this story is to inform people about teen pregnancy and how it affects you. What I Learned I learned that you have to really think about the decisions you make good and bad. They can affect you negatively or positively. 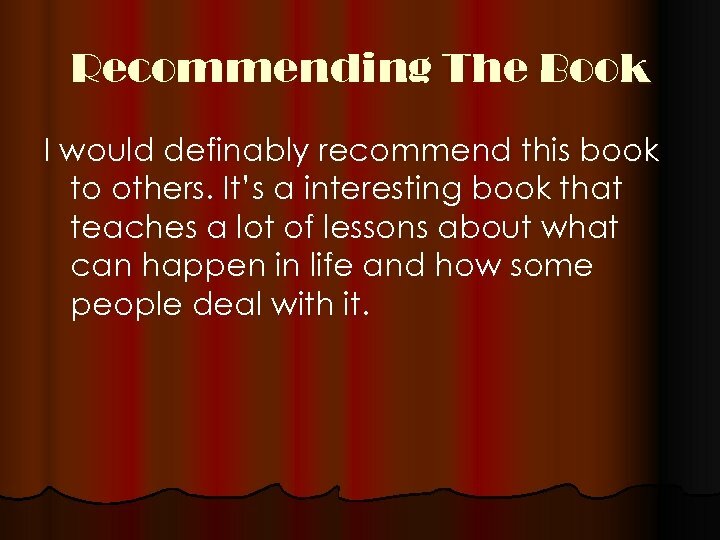 Recommending The Book I would definably recommend this book to others. It’s a interesting book that teaches a lot of lessons about what can happen in life and how some people deal with it.